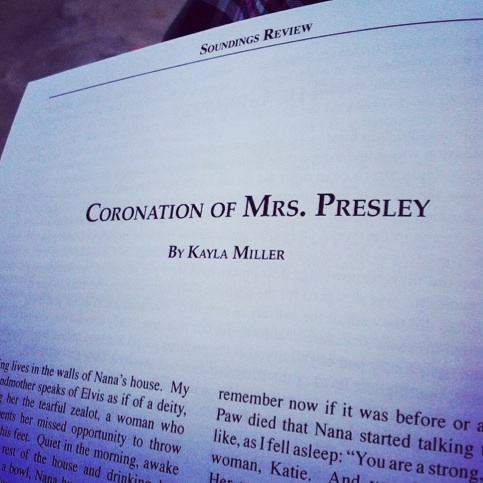 Over the summer, an essay of mine about my Nana, “Coronation of Mrs. Presley,” was published in print in Soundings Review‘s Spring/Summer 2014 issue. Yesterday, another of my creative nonfiction pieces, “Still Writing About Grief,” was published online in The Doctor T.J. Eckleburg review! It’s live on their website now, and so is my “Selfie Interview,” y’all.